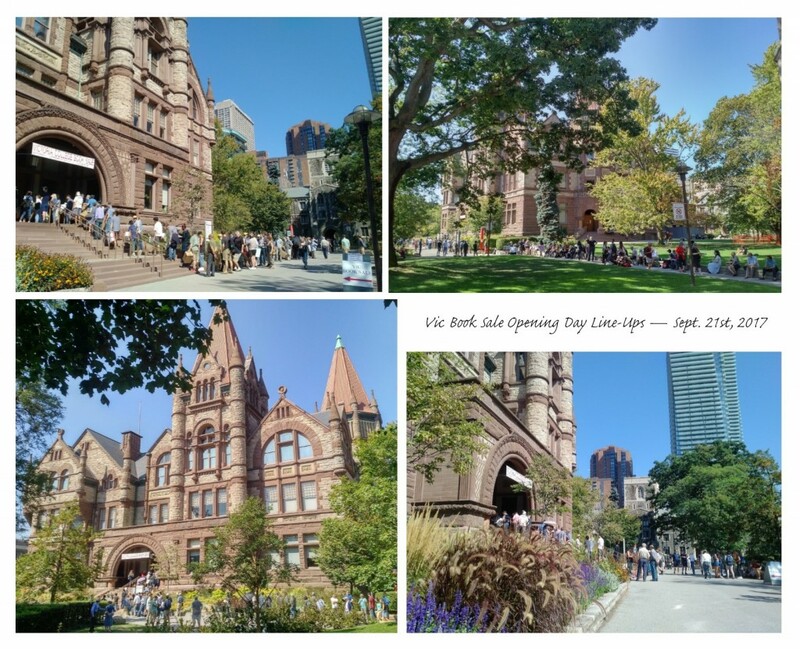 The line-up may have started very early in the morning but that certainly didn’t stop throngs of book-lovers from joining the queue throughout the day even as the temperature soared on this last full day of summer. 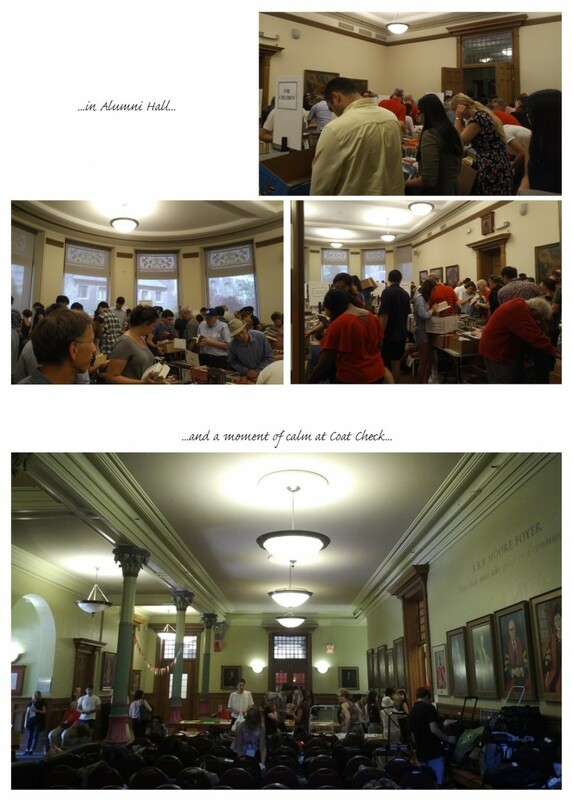 Can you spot yourself in any of these pictures from the Vic Book Sale’s Opening Day? 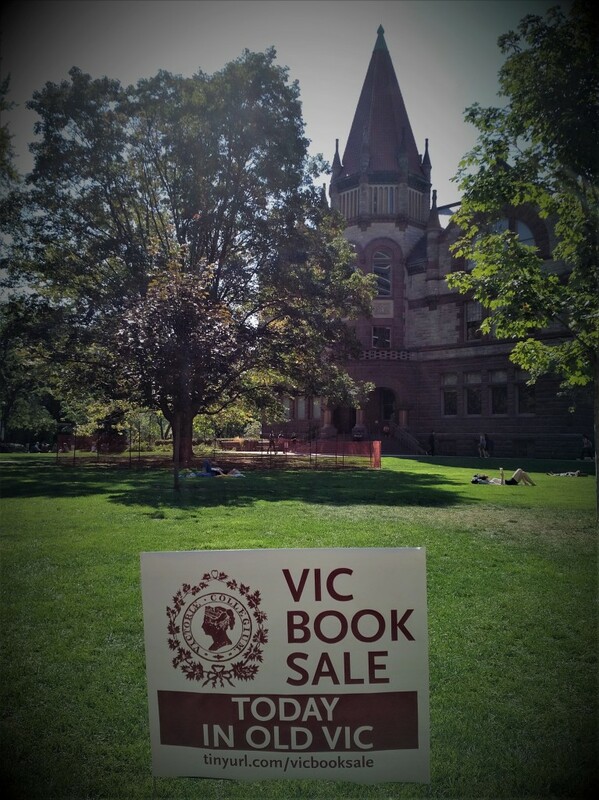 A big THANK YOU to everyone who came out today to support the Victoria University Library! 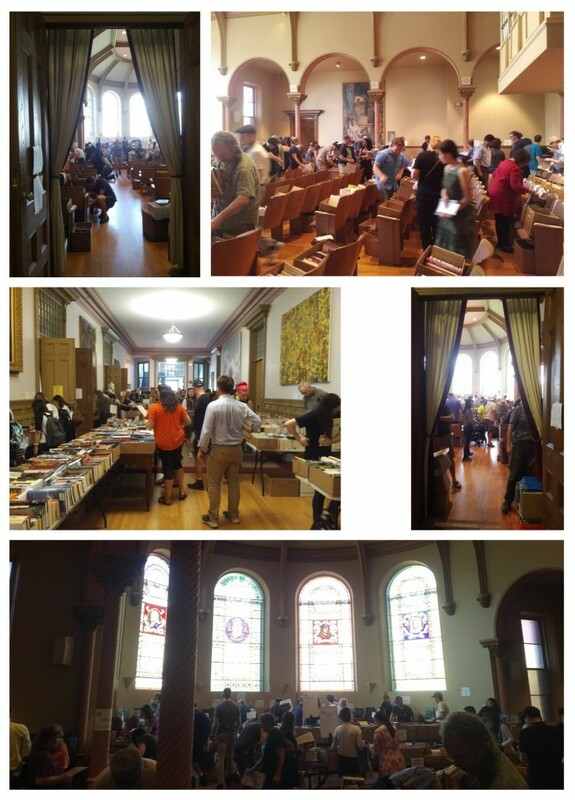 You helped make the Opening Day of our 26th Annual Book Sale a resounding success! 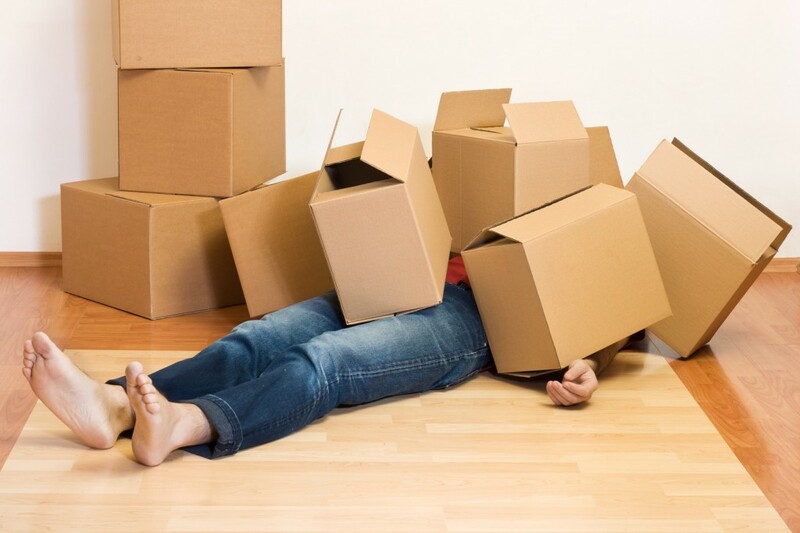 Saturday from 11 a.m. to 6 p.m.
Monday from 10 a.m. to 8 p.m. This entry was posted in Book Sale 2017 by Halyna. Bookmark the permalink.